Perched atop a ladder, torch in hand, Idaho Congressman C.L. "Butch" Otter lit the first candle on a 10-foot aluminum menorah to kick off a public Hanukkah celebration in Downtown Boise on Thursday night. "The story of Hanukkah is the first universal message of religious freedoms," said Rabbi Mendel Lifshitz of the Chabad Jewish Center of Idaho. "For Jews and non-Jews alike, Hanukkah is a tremendous opportunity for us to realize the blessing we have living in a democracy like this." 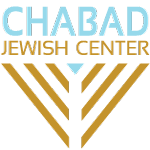 The celebration, organized by the Idaho Chabad, marked the fifth day of the eight-day Jewish holiday that celebrates the Jews´ victory over the Assyrian Greeks in 165 B.C. and the rededication of the Temple of Jerusalem. About 50 people attended the ceremony, which included music, traditional Hanukkah fare including potato pancakes called latkes and a video explaining the story of Hanukkah. Aaron Sperry of Boise came with his wife and three young children and said that a history of religious persecution has meant Jews do not take for granted their right to worship openly . "It´s a great display of the freedom that we have, that we are blessed to be able to unabashedly do this," he said. Otter said that he "did a lot of homework" before the ceremony to learn more about the story of Hanukkah and that the display "brings the opportunity for understanding." "It really demonstrates the diversity that isn´t always so obvious (in Idaho) and on public display," he said. Lifshitz said the Hanukkah lights represent more than an ancient military victory. "The beauty of the lights is that light has the capacity to bring people together," he said. Hanukkah is the festival of rededication in the Jewish faith. It´s also known as the Festival of Lights. Hanukkah means dedication in Hebrew. Hanukkah starts on the 25th day of Kislev, the ninth month of the Jewish year. Kislev occurs in November to December and has 29 or 30 days, depending on the year. This year, Hanukkah started at sunset Dec. 7. A menorah is a candelabrum. It´s one of the oldest symbols in the Jewish faith. A menorah with seven branches, each holding a candle, is used during religious services in a temple, and a nine-branched version is used during Hanukkah. In this version, one candle, called the shamas, or servant, is set apart from the other eight candles and is at a different height. The origins of Hanukkah can be traced back to 165 B.C. King Antiochus IV of Syria oppressed Jews, with the desire that Jews would assimilate to many aspects of Greek culture and Hellenistic life. Antiochus massacred Jews, prohibited the practice of Judaism and desecrated the altar of the Temple of Jerusalem. Two groups of Jews joined together, led by Judas Maccabee, and revolted to overthrow the Syrian armies. When the Jews went to rededicate the Temple of Jerusalem after the rebellion, they found that little oil was left for the menorah, which was to burn every night. There was only enough oil to burn for one night, but somehow, the menorah stayed lit for eight days — the time it took to prepare more oil for the menorah. Hanukkah is celebrated for eight days to commemorate this miracle. 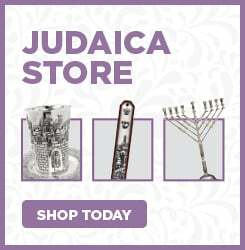 What gifts are associated with Hanukkah? Gift-giving isn´t a traditional part of Hanukkah. The only traditional Hanukkah gift is gelt, which is small amounts of money. Gelt can also be foiled-covered chocolates, often used when playing another tradition, the gambling game called dreidel. A more recent custom for some families is to give children small gifts each night of Hanukkah. What kinds of foods are eaten during Hanukkah? Cutline:Eric Shapow of Boise lights the Menorah on Thursday evening at the intersection of Capitol and Myrtle streets in Downtown Boise. Congressman C.L. "Butch" Otter was honored with kindling the first light of the "Menorah of Freedom." About 50 people turned out for the lighting. Correction: Hanukkah began at sunset Dec. 25 this year. An item that appeared on Local Page 3 Friday reported an incorrect starting date for Hanukkah.